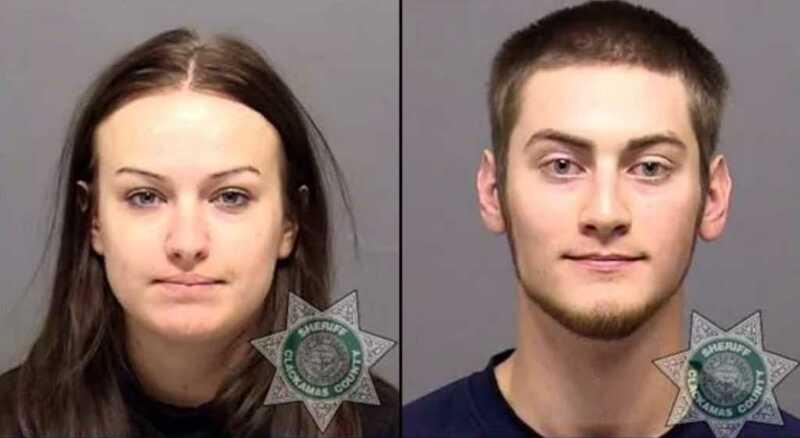 A couple who are part of a religious group that practices an extreme form of faith-healing have been sentenced to almost seven years in prison after refusing medical treatment for their newborn daughter. Sarah and Travis Lee Mitchell pled guilty to counts of negligent homicide and criminal mistreatment in the death of Ginnifer Mitchell, who died on March 5, 2017 as a result of complications resulting from her premature birth. According to Oregon Live, the statement will be signed by Sarah Mitchell’s father, who is a key figure in the church, and prominently displayed within the church building. When the police arrived, they were greeted by Sarah Mitchell’s father, who was reluctant to let them in. “Are you telling us we have to go to the hospital?” Josh Mitchell asked the police when they explained why they were there. When the police responded in the affirmative, the family retreated back into their home to make a decision, finally agreeing to take Evelyn to the hospital. This is not the first time that the church community has been involved in a serious case of infant neglect. In 2011, members Shannon and Dale Hickman were convicted of second-degree manslaughter and sentenced to six years in prison following the 2009 death of their newborn son. Sarah Mitchell is the granddaughter of the Church’s founder, Walter White and the sister of Shannon Hickman. The church, which has locations in Oregon and Idaho, had roughly 1,000 members and supposedly finds its roots in an obscure form of Pentecostalism.